A social enterprise providing meaningful work for people with disability through the baking, selling and delivering of gourmet biscuits and slices is set for expansion. The Able Bakehouse, part of Melbourne-based disability provider Melba Support Services, provides an opportunity for people with complex disabilities, some deemed “unemployable” by disability agencies, to be part of a team and enhance their skills. Since it was established in 2012 the bakehouse has become so popular it is now planning to upscale in Lilydale with financial support from the Lord Mayor’s Charitable Foundation and free labour from local tradies. Able Bakehouse manager David Glazebrook told Pro Bono News everyone has a right to be part of the community. 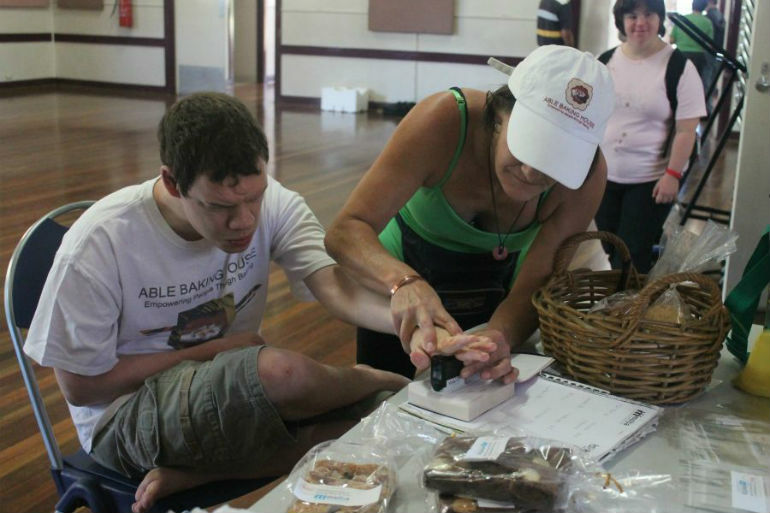 “Able Bakehouse is a social enterprise we run that involves working with people with complex disabilities because we believe, and they have proven this over five years, there are lots of meaningful things they can do in the community,” Glazebrook said. “We believe everyone has got the right to be part of the community. It is just an attitude we have. 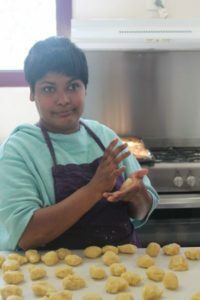 The Able Bakehouse, which aims to increase community cooperation, provides roles to many people supported by Melba, across a range of areas including baking, packaging, marketing, sales and delivery. It also incorporates members of the community who volunteer their time to take part in each of the areas, making it a whole community project. Glazebrook said there were about 40 people currently involved across all the processes, with many people working one to two hours a week or a fortnight depending on their circumstances. “It ranges from rolling the dough, making the dough, putting smarties on some of the biscuits, packaging, labelling, delivering, taking invoices out, all that sort of stuff so it’s not just the making of the biscuits, it is all of those things,” he said. He said having a bigger oven and kitchen would mean more people with complex disabilities could come on board to make more baked goods. “We’ve always wanted to get more people involved in doing this but to achieve that we have got to improve the facility we use,” he said. “Right now we use a local community hall but we’ve moved our head office, and it’s part of the Box Hill Institute campus in Lilydale and they are providing us with space there. “We set that up as a social enterprise hub, not only for Able Bakehouse but for some other things we’ve got ticking over on a small scale. We want to improve that because we believe we need to create the opportunities for people. The Able Bakehouse secured a grant from the Lord Mayor’s Charitable Foundation to help fund the new social enterprise hub. To help grow the organisation the Able Bakehouse has also been working with The Difference Incubator (TDi), who help businesses do good and make money, to identify ways they could increase their impact and become more financially sustainable. Glazebrook said TDi had “pushed hard, but in a respectful way” to help them crystallise what the Able Bakehouse could achieve: meaningful work for people with disabilities, quality baked goods that contribute to a good cause for local sellers, and a successful purpose-driven enterprise. “What I loved about it, was they didn’t question what you were doing, but they made you think about what you were doing,” Glazebrook said. “They were really supportive but they really made you think about what are you applying for and what do you want to get out of it. “In fact we scaled down the amount of money we were asking for [as part of the Lord Mayor’s grant] once we had really gone through that process with them. “They have been really good in assisting us look at: ‘Ok this is the Able Bakehouse, this is what we have got to achieve, this is where we are at the moment’. They helped us go and do some market research with people we were already supplying biscuits and slices to and they put it in really simple terms. TDi CEO Bessi Graham told Pro Bono News several not for profits in the disability sector were turning to social enterprise to explore alternative revenue streams. She said for the Able Bakehouse their main focus was to help them to strengthen out the business model. “We did a bunch of interviews, going out and talking with customers, of actually testing the value proposition and trying to understand why were people engaging with them and how could we strengthen their product lines and the communication,” Graham said. “What’s interesting with those interviews was that people consistently were saying they loved and wanted to hear more of the story. So customers were engaging and wanting to feel that connection to what was actually being enabled because of the purchase, and the connection to providing employment and opportunities for people who are living with a disability. Graham said it was important for organisations to understand that they did not have to choose between building a business and running a charity. 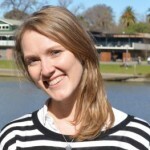 “We’re trying to encourage organisations to not see those as separate… but trying to actually say what is that business model that will allow you to be very true to the mission, be sticking to what it is you’re trying to do with your beneficiary group but to do that in a way that actually over time can have some more sustainability,” she said. She said it was important to strike a balance between growing the business and not exhausting the staff. “Like a lot of organisations they had a very small number of staff in terms of people that are actually paid and in the mix, and people are obviously needing to do a lot more hard work than they’re already being paid for and so one of the realities is, ok if there is then an opportunity to increase customers and the production so there is more impact on the social side, how do you actually sustain that and be able to increase the paid staff in the meantime and all of those cash flow issues that are a trick for a business when you don’t just have big bank balances that allow you to have runway,” she said. Graham said social enterprise required a shift in mindset for people coming from large not for profits. “Usually from an executive or a board level people say: ‘Ok we have to change the business model and in order to still be here in the next few years we have to be looking at different ways of operating and thinking differently, new revenue streams.’ Yet the challenge is when you actually get into the organisation at the level of delivery you have amazing passionate people who have operated often for decades in a way that they’re used to that block funding from government, engaging in a certain way and it is a big shift to start to think about customers and what money is coming in and whether you can actually justify spending time on certain things,” she said. She said understanding the intent of the organisation was crucial. “I think you actually lose a lot of the power of a not-for-profit organisation or charity if you just come in and act as being commercial or having a business model that solves all their problems,” she said. Glazebrook, who hopes to have the new social enterprise hub up and running by mid-year said for them, the focus was always on the people they support. “Able Bakehouse works on the people we support making the product,” he said. “We’re not going to go and hire a chef to make more product to meet a greater demand. It is our people doing it but they need time and they need the space to do it.